Does your new family member need their puppy or kitten vaccinations? 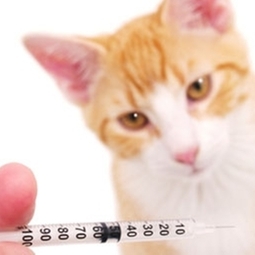 Does your adult dog or cat require a booster vaccination? We can examine your pet and discuss what vaccinations are best suited for your dog or cat based on their health, lifestyle, and travel requirements. deworming for internal parasites, such as roundworms or tapeworms. therapy to prevent external parasites, such as mites, fleas or ticks. heartworm prevention if traveling to endemic areas. blood or urine testing to get a baseline on your pet's health or catch certain diseases early in order to assist your pet's health.